The Filipino Sari-Sari store has always been the Philippine's staple convenience store; long before 7-Eleven had taken over our streets we've had our trusty Sari-Sari stores in every corner of the barangay, village, subdivision, and barrio. With the Sari-Sari store being around for so long, would it survive 35 years into the future? What products would they be equipped with by then? What services would they offer? VSOON, a New York-based design research studio, also wondered what the future would be for the Sari-Sari store. As a result VSOON created their own version of what the future Sari-Sari store would look like, what products and services they would offer, and created a general feel of what a futuristic Sari-Sari store would be in their SARI SUKI 2050 exhibition. 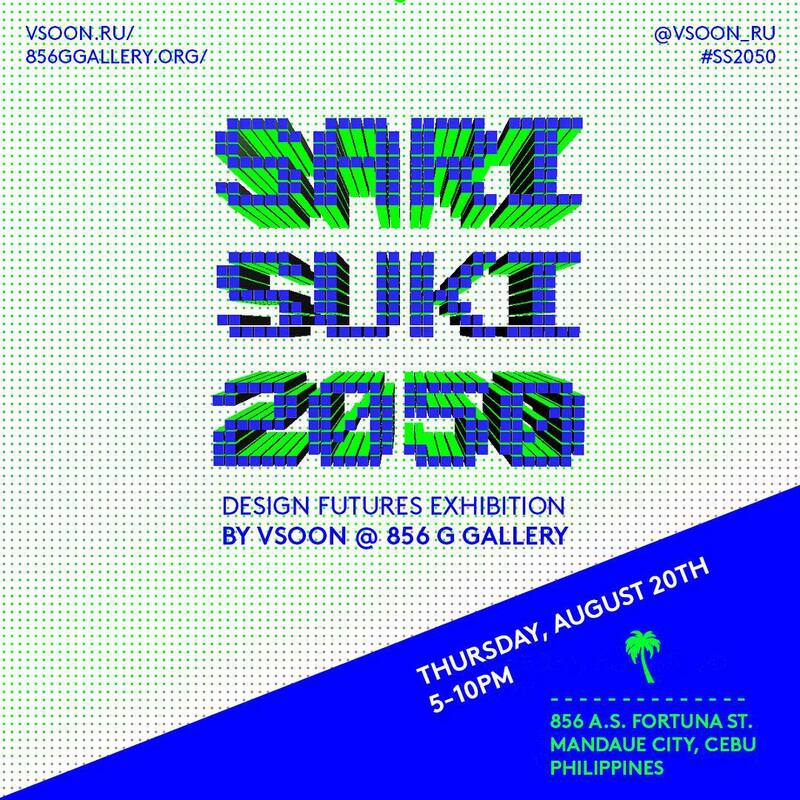 SARI SUKI 2050 will be opening on August 20, at the 856 Gallery, A.S. Fortuna St., Mandaue City, Cebu. For more information on their exhibition you can check out there event page here. VSOON is a New York design research studio concerned about the future. VSOON’S Chris John Fussner, Noah Emrich and Sophia Callahan are graduates from Parsons School of Design in New York. Their previous project Datacafe.biz was shown during NYCxDesign week last May in Brooklyn, NY. Their work often includes ethnographic research, graphic and web design, as well as conceptual practices across themes of speculative futures and global networks.